A very sunny Wednesday morning on the plot. Because we’re gardeners of course we are already complaining about the heat and wondering when we might next have rain (Friday if the forecast is to be believed). So watering of pots, bags and raised beds it is for the next couple of days at least. 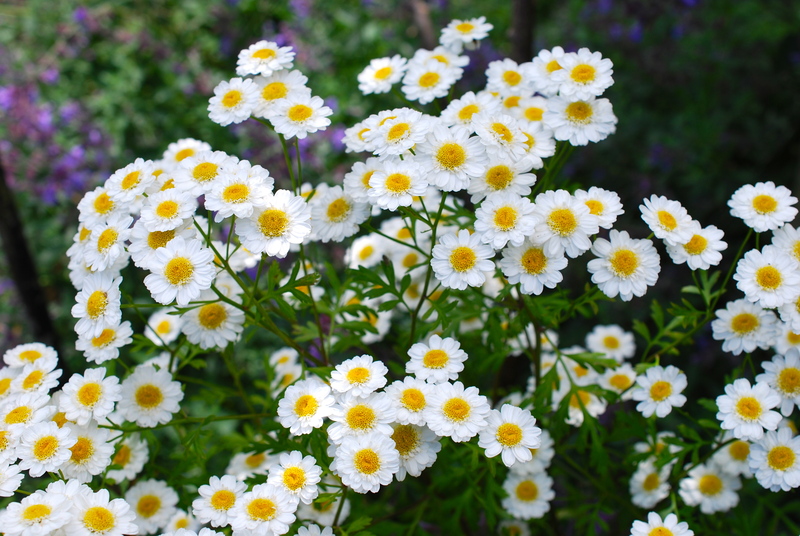 Information about feverfew from the RHS here. Very warm on the plot this morning so I just pottered before coming home for a cup of tea! And how. I managed the watering and cup of coffee. I think you can have a cup of feverfew tea.